Following RBRB successful grant application from the DFT we are delighted to announce that Ribcraft have been selected as our chosen provider in building our new boat. 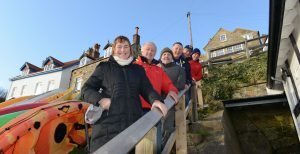 Over the last few months a small sub-committee of seven members of the association have been investigating the most suitable options for replacing the boat and on Wednesday the proposal was made to the Committee for ratification which we are pleased to say was warmly welcomed. We are extremely excited by the new opportunities the boat will bring to our service and we would like to say thank you to the vendors who were unsuccessful in their bids. It was a very close call as to which boat we chose and it was felt all the vendors offered excellent proposals. We are hoping to have the new boat on station as our primary boat in early 2020.